So, I have been inspired by Design Darling‘s 101 in 1001. Like she says, it really is the happy medium between writing a to do list and keeping a bucket list. Mine however is slightly more ‘high school’ than some of the other lists out there. Still, I am super eager to get this list started! 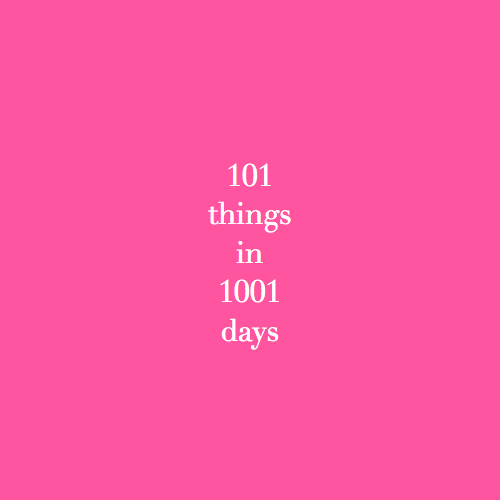 Create a list of 101 things.